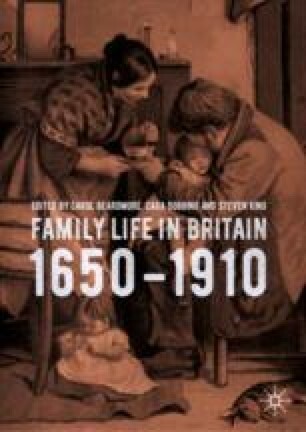 Carol Beardmore explores several key aspects of the Victorian family including the relationship between work and the nature of the family, the construction of fatherhood in the professional family and the quality of family life at different career stages. In essence, it investigates the family as processes in practice. Using the diaries of Edward Wrench it is possible to reconstruct the emotional attachment men felt towards home, professional life, family and patients in minute detail. Despite the assumption that there was in the late nineteenth-century a growing separation between work and home Beardmore argues that like many other professional men in the case of Wrench the boundaries were blurred. His wife was not excluded from his business and played an important role in maintaining the practice, taking messages and using her social life to attract patients, thus general practice was a family affair. With his nieces and wider family moving in and out of his more nuclear orbit it builds on the themes of this volume by illustrating the complexities of family life.